Recently, my mum was given a trial of different subscription boxes. 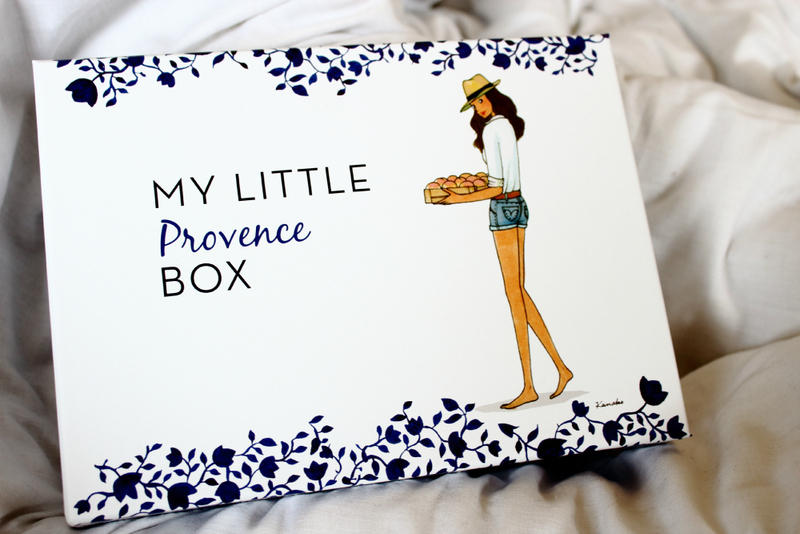 My favourite by far was the ‘My little box.’ Each month they have a different box, this months being the ‘My Little Provence Box.’ Ready for summer; a little piece of France brought to your front door. It’s such a sweet little subscription service. 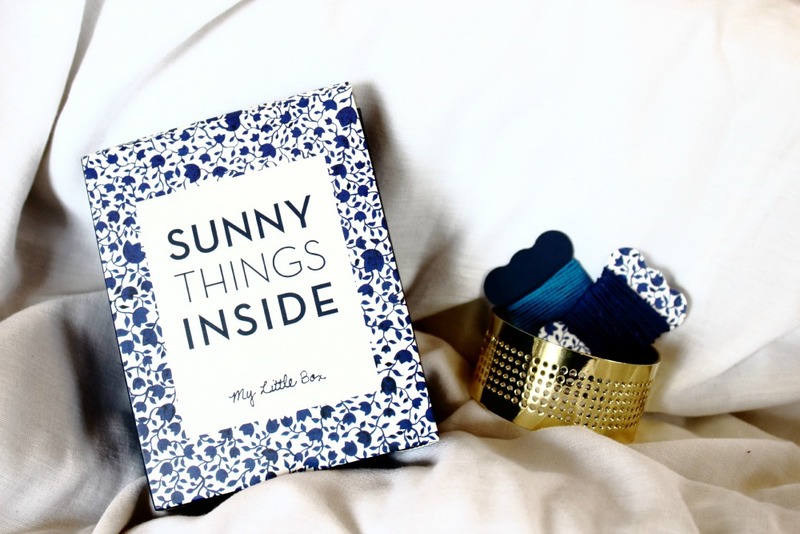 It not only comes with the typical beauty products that you would expect but also a mini magazine and cute DIY’s. When you first open up the box, you are greeted with the cutest bow and magazine. Upon undoing the bow, you can open up the paper magazine. Inside is nail tutorials, DIY’s with the equipment you need inside the box too. Interviews with both Beauty Blogger, Anne Marie and Olivier Baussan. 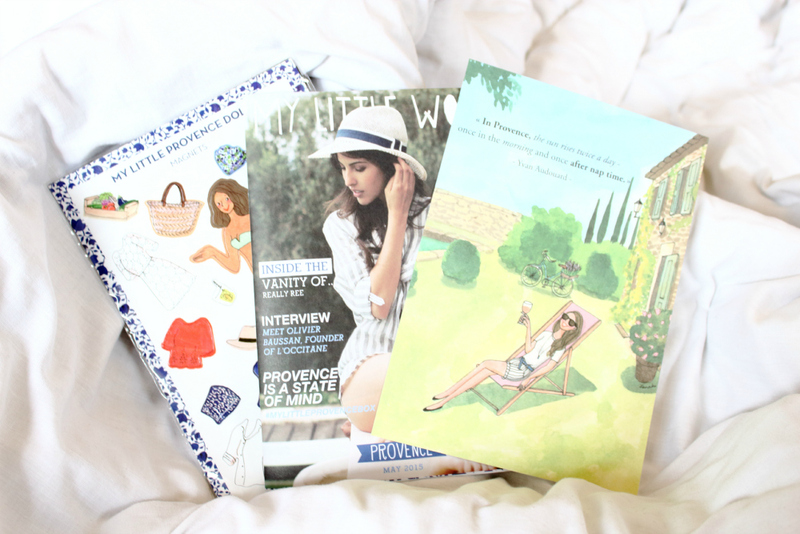 Upon opening the magazine fully is a beautiful poster, an illustration of the state of Provence. You are also provided with fashion magnets, which would help a fashion forward person put their own touch on their refrigerator. After removing these from the top of the box, you’ll find both a small tie bag and a packet with the equipment for the DIY in. Within the tie bag is all things beauty. A goodie bag of loveliness. Shower Gel, Body lotion, hand cream, eye shadow crayon and a bar of soap. All by the beautiful, classy brand of ‘L’Occtane En Provence.’ They remind me of the kind of goodies you’d find within a fancy hotel. I’m particularly excited to try the eye-shadow crayon out, it’s such a pretty shade and the packaging is so sweet too. I can’t wait to try out these products, and to make my very own embroidered gold cuff. 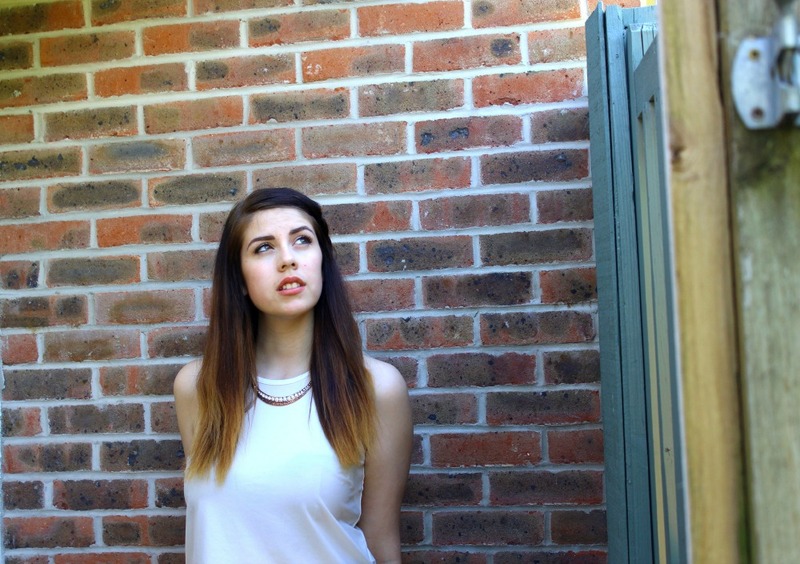 You can subscribe to ‘My Little Box’ here. For only £11 a month.